SKYLOTEC is building a new production hall near Gyomaendröd at a cost exceeding 750,000 €. Building work commenced last week. 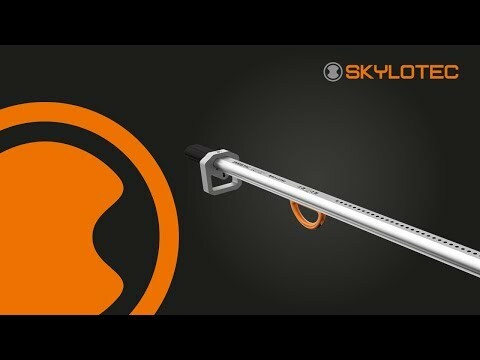 SKYLOTEC Hungary (formed in 2006), is a manufacturer of personal protection and fall-prevention equipment and is part of the SKYLOTEC group. SKYLOTEC has steadily grown since its formation; whereas in 2006, there were 39 employees, there are now over 120. In the new 1800-square-metre hall, 22 new jobs will be created. “I am pleased that the hall is being built in Gyomaendröd and not in China, since, for us, it is important to provide quality and reliability. These form the basis of our branding policy”, explained Dr. Rinklake. The mayor, András Várfi, emphasised that SKYLOTEC has always played an important role in the employment policies of the town and that this investment will strengthen its role even further in the future.